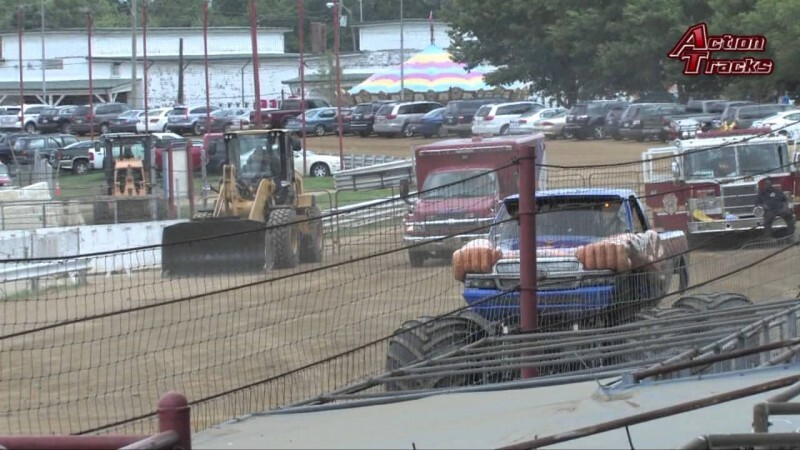 If you watched last year’s Daytona 500 or the 2014 NASCAR season you may have gotten a glimpse of a familiar, muscular, blue Chevrolet monster truck we all know so well. 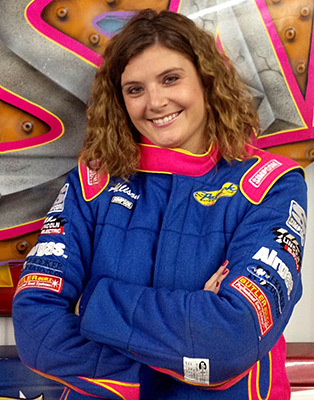 The Samson Monster Truck team was lucky enough to be invited down to Kanapolis, North Carolina last year to be a part of a unique commercial for Goodyear, which featured NASCAR star and now Sprint Cup Champion Kevin Harvick. Who knows, maybe Ol Sammy sent Harvick some good luck on his way to the championship title? If you haven’t seen the commercial before than check it out below. 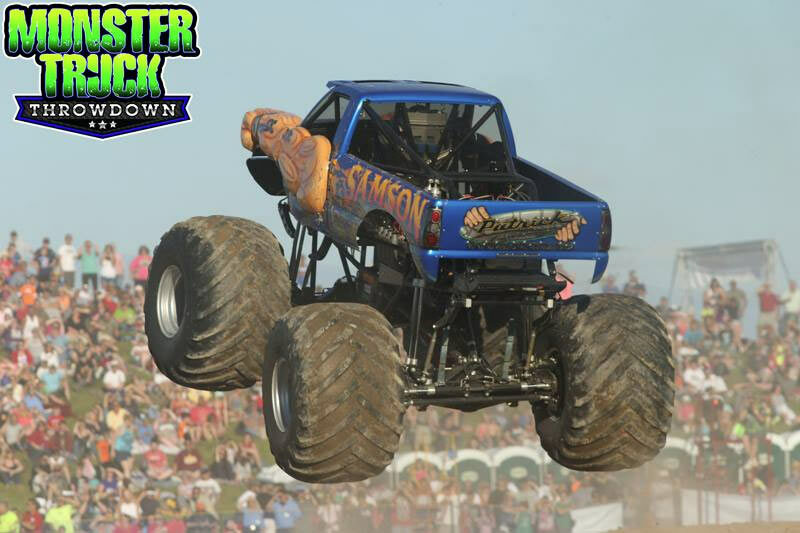 The Samson Monster Truck team received a few copies of an all new children’s book on the world of Monster Trucks today, and it features our own Allison Patrick! 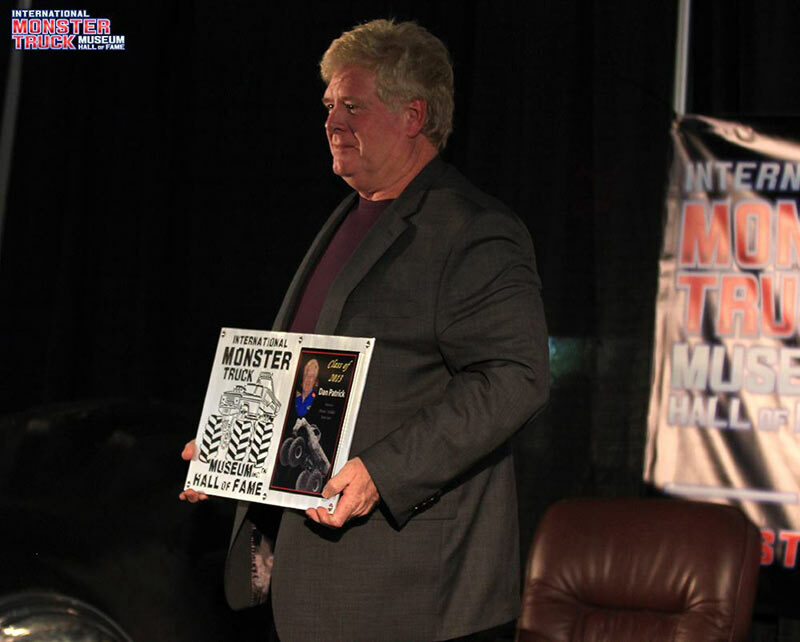 The new book is titled Monster Mega Trucks by Timothy Kane. 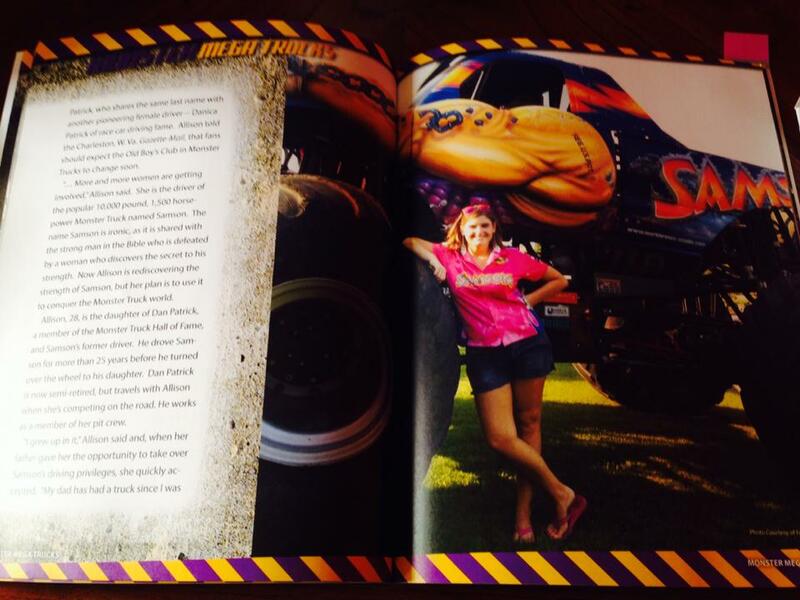 The book published by Triumph Books of Chicago, Illinois features a chapter on Allison as a driver and the Samson Monster Truck. We plan to have these available at our upcoming PEI / Samson Open House on October 4th for those that are interesting in purchasing a copy. 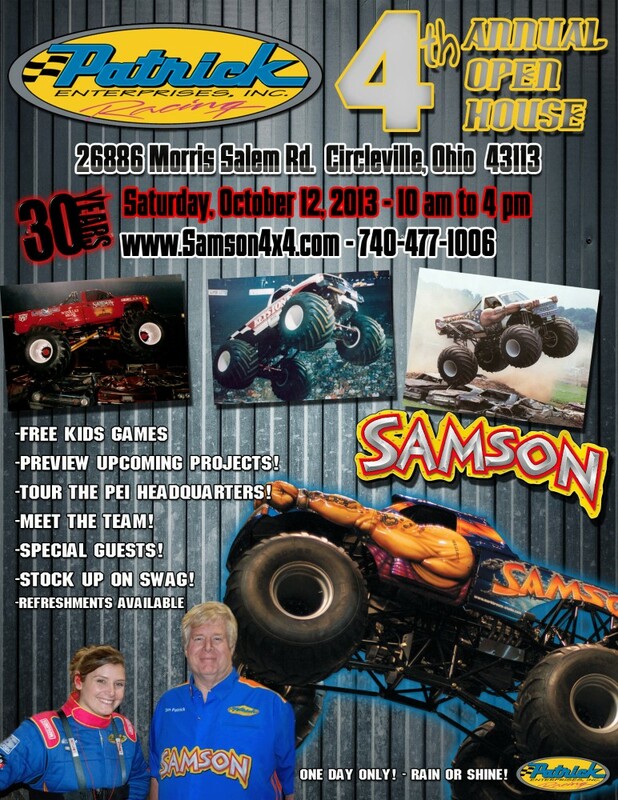 The date for the 2014 PEI / Samson Open House has been set and will be held on Saturday October 4, 2014 from 10am to 4pm. We have many exciting things planned this year, so check back soon for more info! 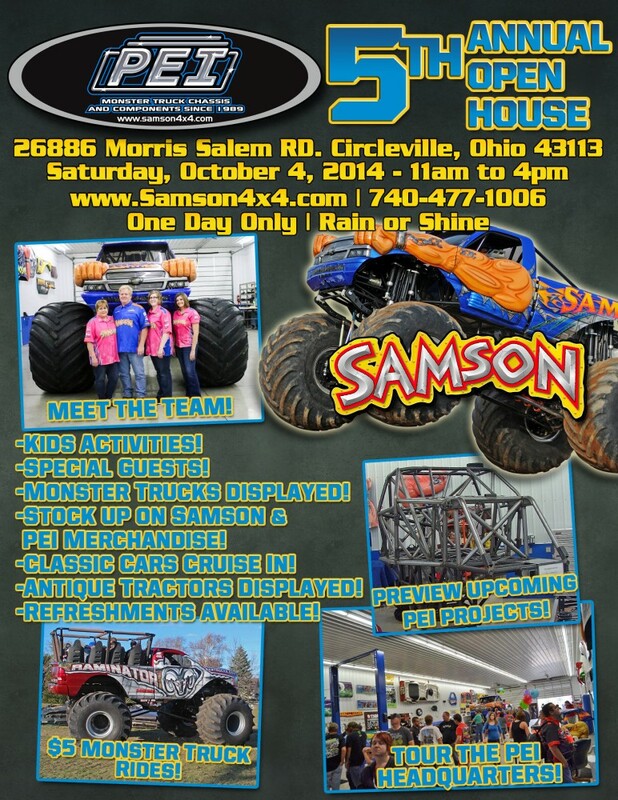 We are happy to say that the 4th Annual 2013 PEI / Samson Monster Truck Open House has been re-scheduled for Saturday October 12, 2013 10:00 am to 4:00 pm. 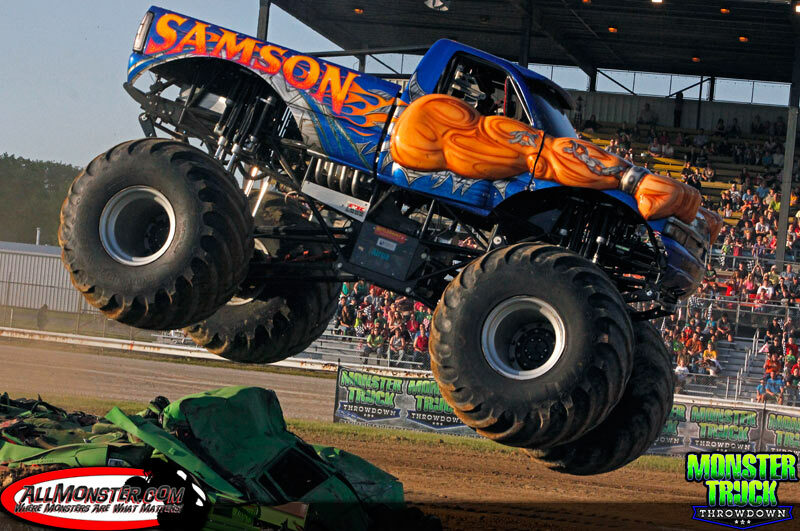 Allison Patrick Makes Her Long Awaited Debut to Drive The Samson Monster Truck! 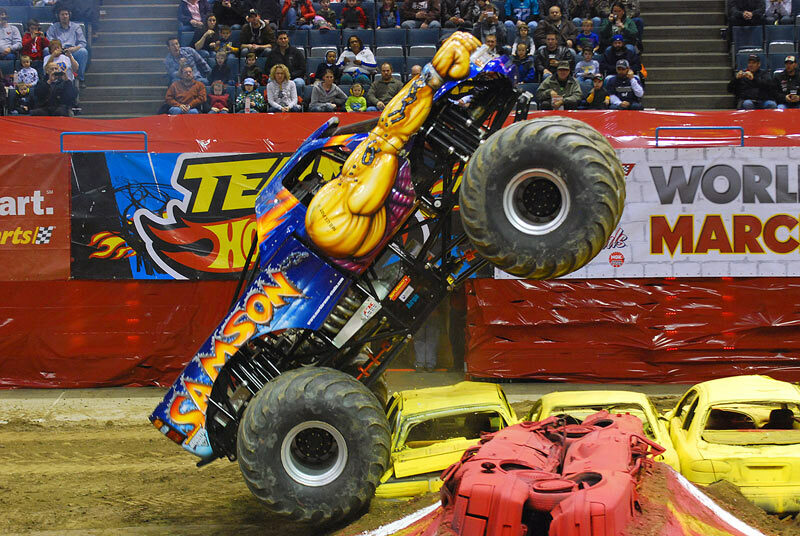 Allison made her long awaited monster truck driving début in Samson at the Monster Jam event on January 18 – 19, 2013, at the BMO Harris Bradley Center in Milwaukee, Wisconsin.